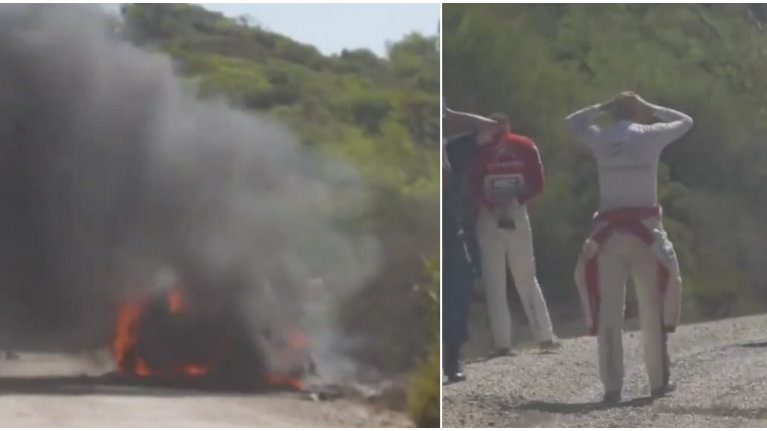 Citroen's Irish driver Craig Breen endured plenty of bad luck over the weekend at the WRC in Turkey when first he lost time with a rear tyre failure, and then the day after, his car caught fire and he had to retire from the event. 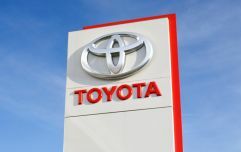 The Waterford man's car was reduced to a shell by the side of the road to finish his weekend as Breen escaped unharmed from the vehicle. Breen and his co-driver spent several minutes inspecting the vehicle before it caught fire. It's believed the car cost more than €1 million. "Yesterday was one of the toughest days I’ve had [sic] Fire is one of the biggest fears we all have in this game, and we did all in our power to try and avoid it. I felt it in my heart yesterday, something I know so many of my friends had put in countless hours to create was being destroyed in front of us and we could do nothing. "I am so sorry to everybody in the team, it was completely out of our control. To Ott and Martin, thank you for being so good at that difficult time.. This season is being so difficult, but we have to remain positive, we have set a fastest stage time in all the last three events, and we led the rally here, so the speed is there. Just need a bit of luck our way, nothing more.. More difficult things have been thrown in my path before, we’ll not let this run upset it all."